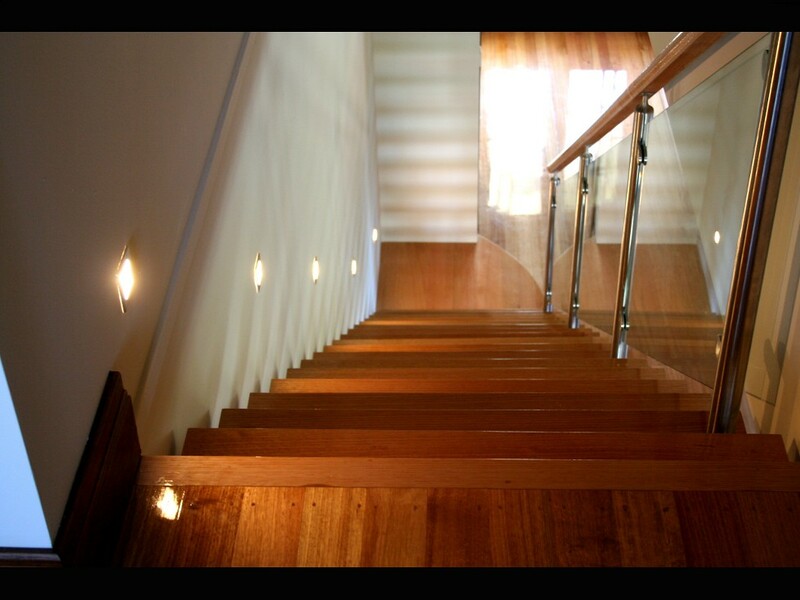 Adjoining a living room, this center carriage stair design with glass balustrade was used to great effect. 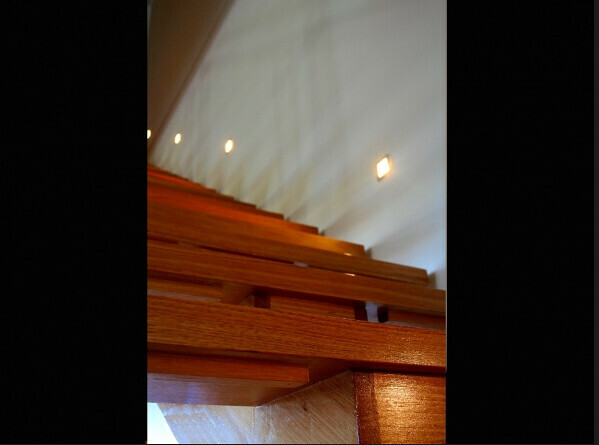 The stair was made using Tasmanian Oak to match the timber to the floors and had one long straight flight that accentuated the ‘high ceilings’ in this home. The location of the stairwell was a contributing factor to the design and detail of the stair. 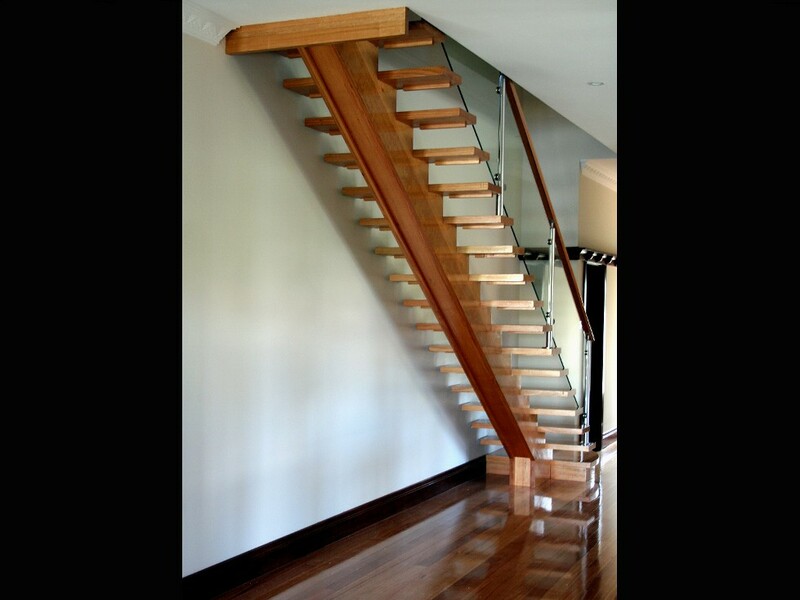 This stair design allows light to flow through living areas, and helps to create a feeling of space, that a traditional closed staircase in unable to provide. The staircase is a visible architectural element from both the entry and the living areas. The treads have been individually joined and finished 42 mm. 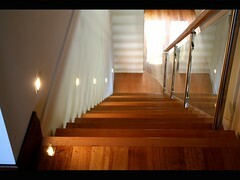 The timbers of the stair and handrail are Tasmanian Oak and the balustrade is glass attached to stainless steel posts. 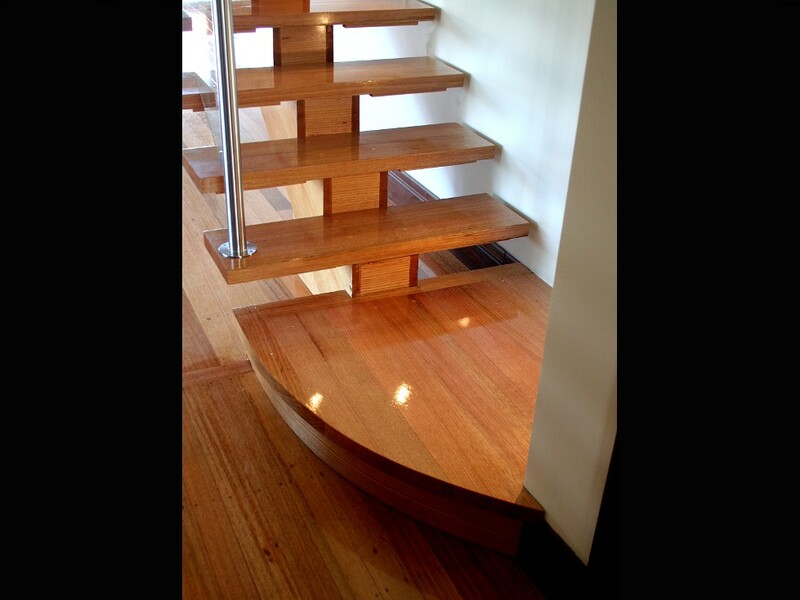 Stair Material: Specifications: Open stair; Centre Carriage Cut String; Treads with 30mm nosing square projection; The Material used are: Treads ex 50mm (Laminated to finish 42mm Thick) Tasmanian Oak. Specifications: Glass balustrade 12mm toughened glasstop mounted to the treads with 50mm round stainless steel posts. 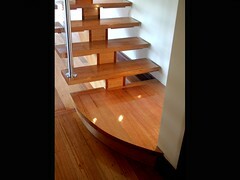 Ex 75×50 timber oval moulded handrail.